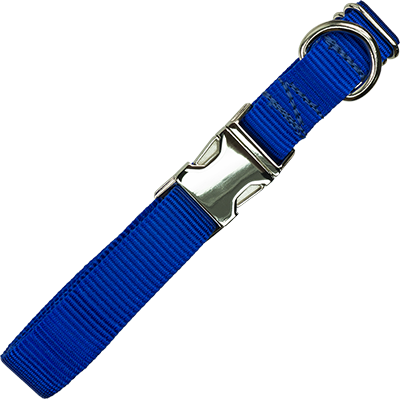 Our Nylon Dog Collar is made with 1” wide nylon web. 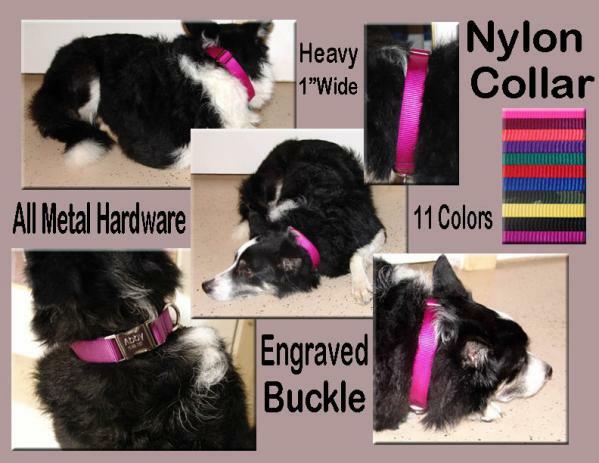 The collar is adjustable. 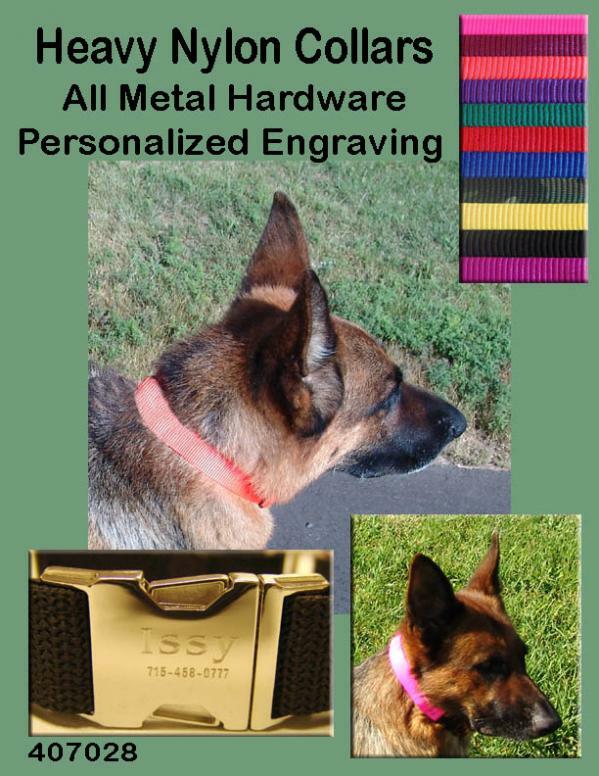 The metal buckle can be personalized.